As they all feed mainly on fish most of our sightings were as we cruised along rivers systems or travelled along the track by the many swampy ditches. Reaching almost 40cm it was the most distinctive and common species we came across. 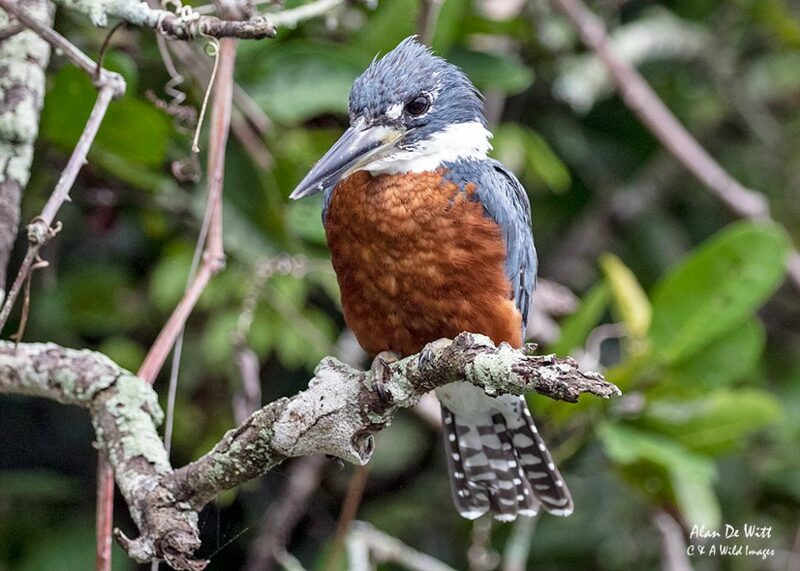 It’s coloured blue-grey with a red-brown chest and easily seen along the river banks. 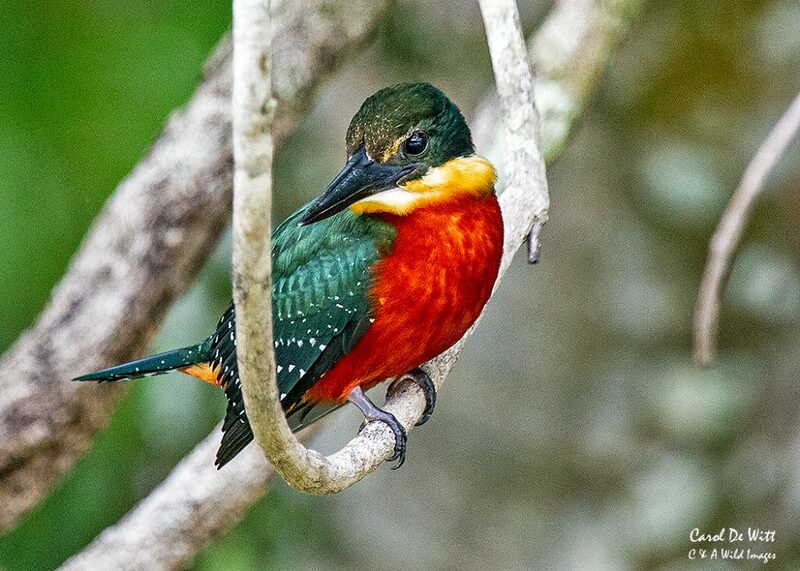 They are found throughout South and Central America even as far south as Tierra del Fuego. It has now increased its range north to along the lower Rio Grande River valley in Texas in the United States. 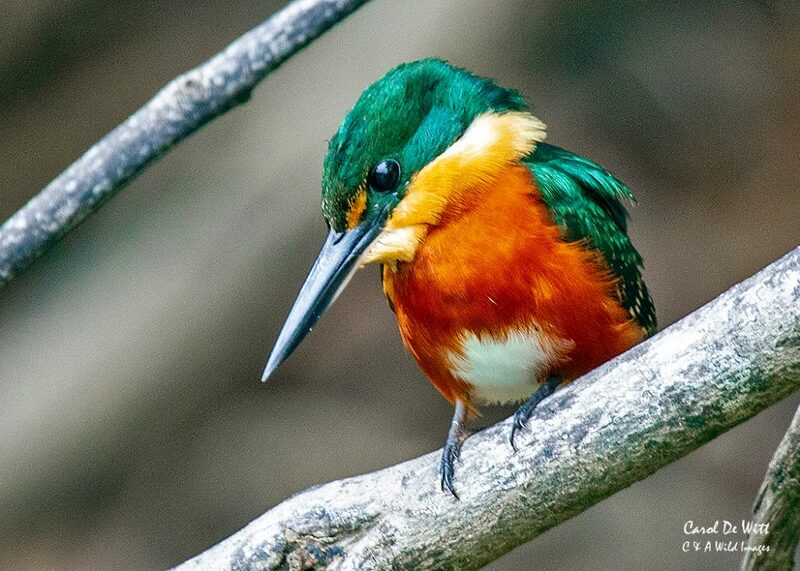 The second largest of the five species is the Amazon Kingfisher measuring about 30 cm in length. 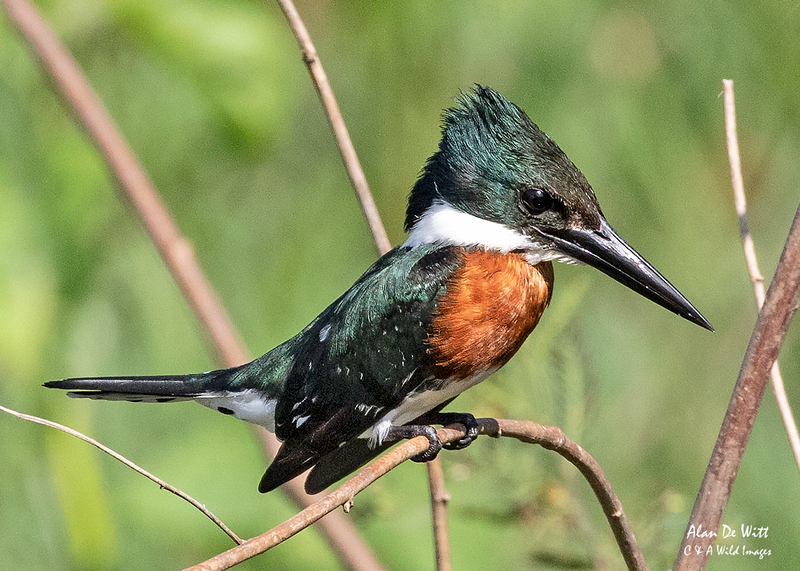 The Green-and-rufous Kingfisher is arguably the most attractive and one of the less common species we came across. It is 24 cm in length, so not the smallest, but very difficult to spot. 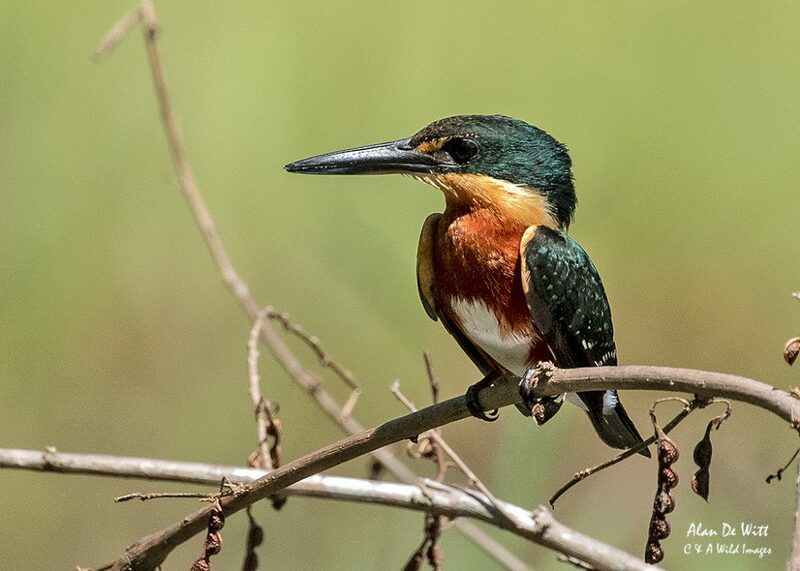 This is due to its’ dark glossy green upper parts, with white spotting on the wings, and a rufous nape. These all act as excellent camouflage. 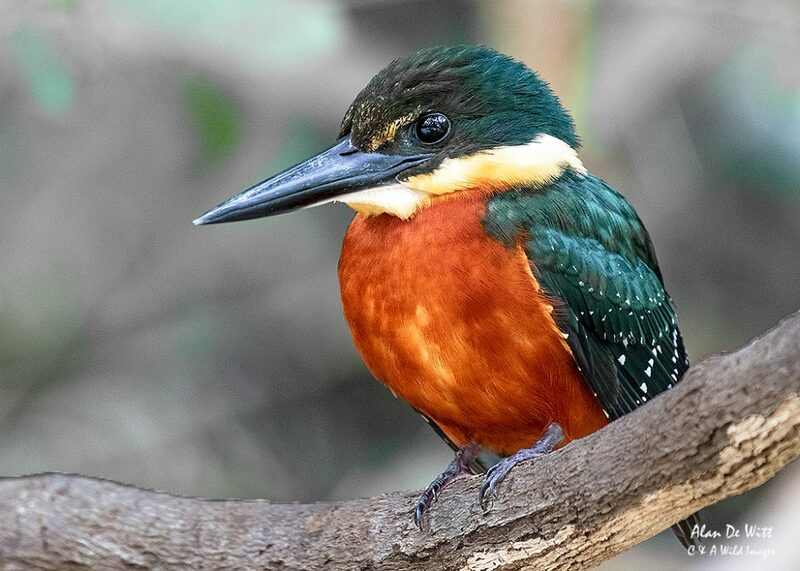 Like the other kingfishers it’s found around streams and rivers. It’s distribution is from Nicaragua, through Central America and across much of the northern parts of South America, as far as Paraguay. 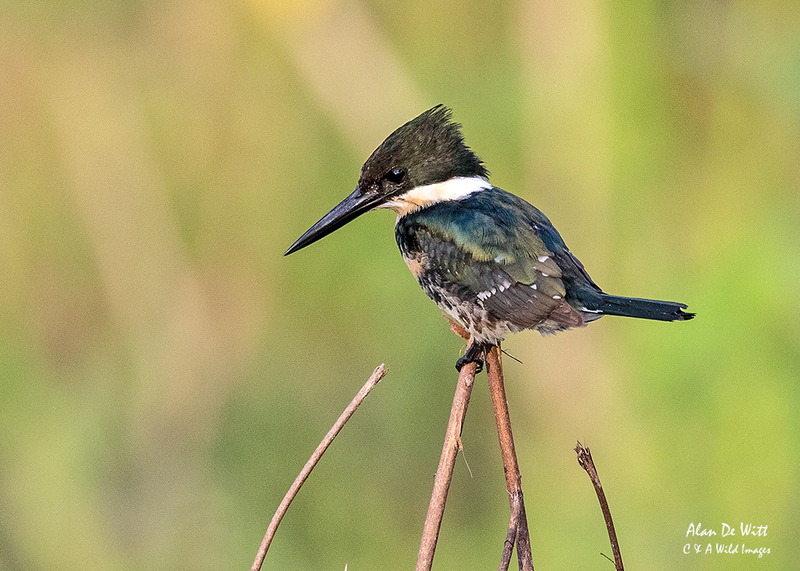 Next in size is the Green Kingfisher. 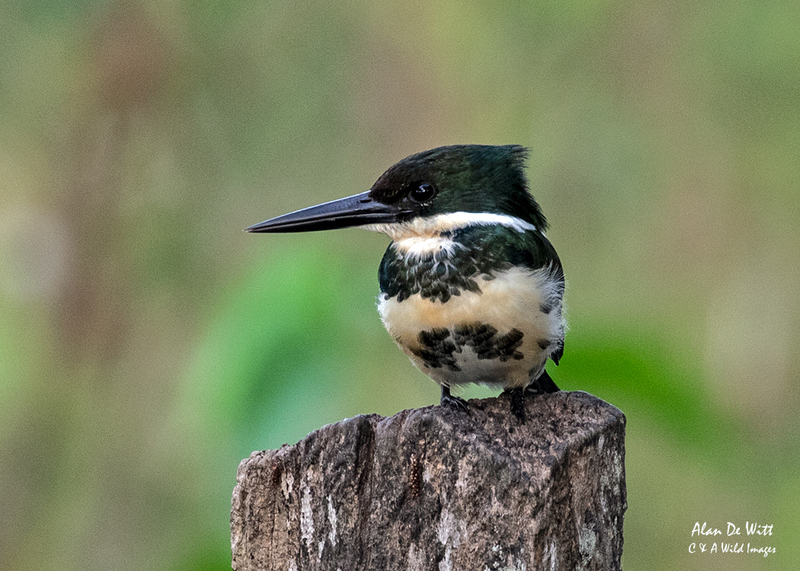 Measuring about 19 centimeters in length, it looks like a smaller version of the Amazon kingfisher. It has dark green upper parts, a white collar and a rufous breast band, Although the females lack the breast colouring. 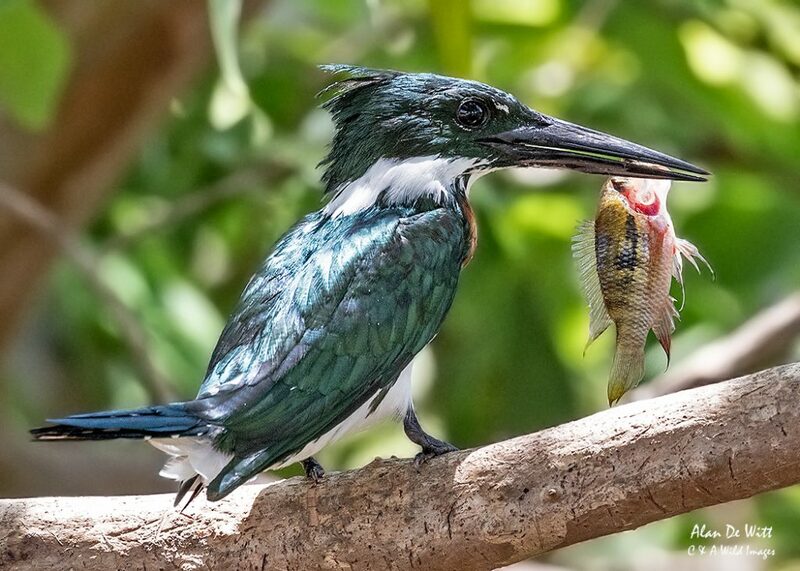 Like all the other kingfishers they’re always found near water. However being smaller they seem to favour the smaller streams and around the edges of ponds. Here the dense low foliage provided perches close to the water. 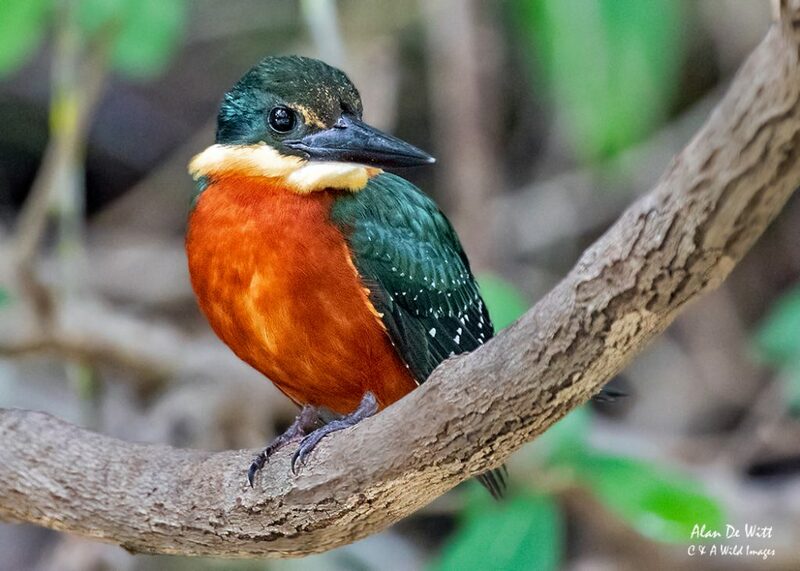 The 5th of the Pantanals Kingfishers is the American Pygmy Kingfisher. They range from southern Mexico south, through Central America down to central Brazil.